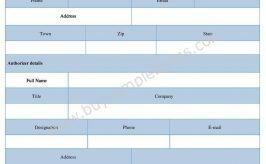 360 degree appraisal form contains the information about a company as a whole. A complete assessment is made on each individual performance of a company to know how well a company is performing. Even an appraiser is also being evaluated to know the overall performance. This form helps to measure the growth and development of a company by evaluating its work force. Each company has its own norms to reviewing the ability and dedication of the employees so there is no certain criteria to make the form. An employee’s performance is judged by the other employees’ view regarding his/her area of work. In this way, the total assessment is made where manager is also evaluated by the people who are working under him. The form is filled up by answering the information on manner, capabilities, goal setter, planner and many other characteristics of an individual. Below an example is provided that assists you about this form. The format of a 360 Degree Appraisal Form is available in both PDF and word documents. Download and then customize it as per your requirements.